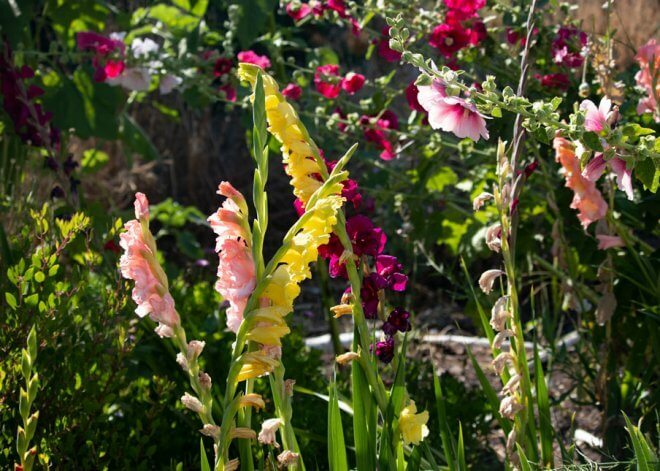 Nearly every gardener has done it: planted a species they really regretted. Typically it’s an invasive species that is tough to control. It’s bad enough dealing with invasive weeds, but worse when you’ve done it to yourself. Mexican Evening Primose is definitely the worst I ever planted. 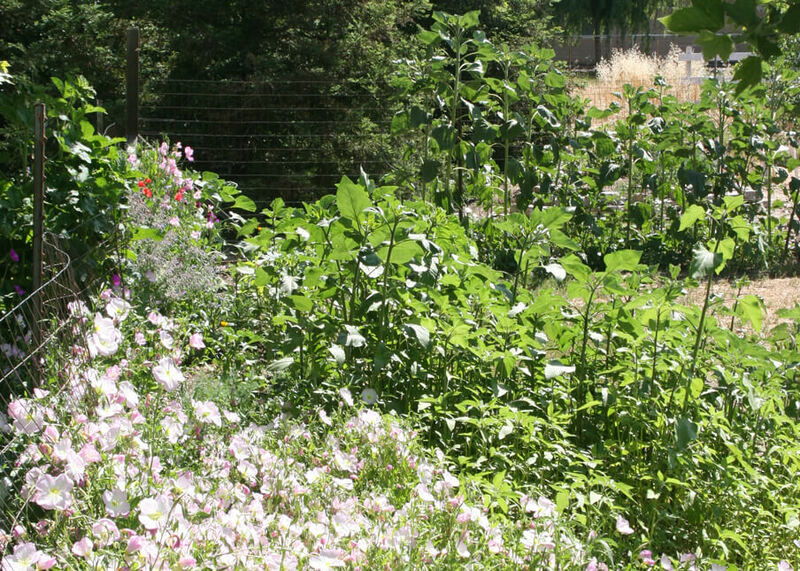 It’s beautiful and easy to grow – but I had no idea it would try to take over my yard – spreading by both roots and seeds. How can you avoid planting invasive species? Most states have listings online but it’s a good idea to start with the National Invasive Species Information Center. Unfortunately, some of the worst invasive are still sold in nurseries. Every time I see Mexican Evening Primrose (Oenothera speciosa), I think it should have a big warning next to it. However, what’s invasive in my yard might not be a problem in yours. When plants, trees and flowers become invasive, it’s generally because they are grown out of range. For example, the Mexican Evening Primrose can be well controlled in environments that are not irrigated. 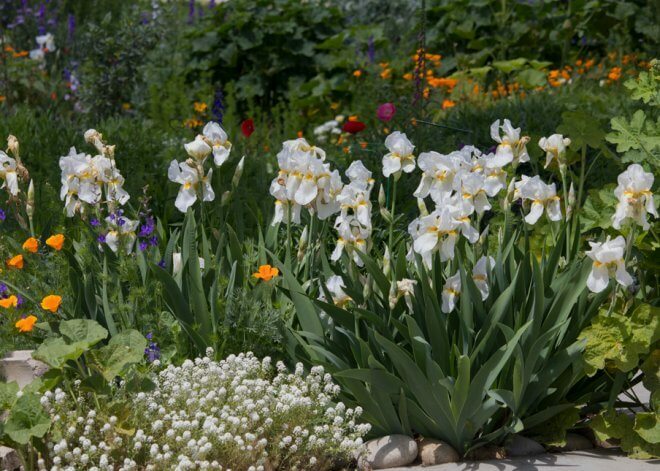 But spread quickly in the typical irrigated garden. Many species are also more invasive in areas that have high/moderate precipitation and humidity. For those in my state, the California Invasive Plant Council provides an extensive list of invasive plants that threaten natural areas. Thus, being careful not to plant invasive plants is not just about your garden, but avoiding the cultivation of plants that can escape into our natural environment. This is especially important if you live near wetlands. 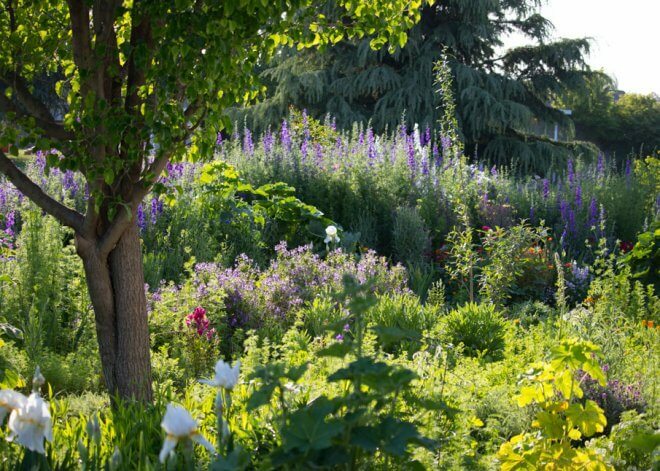 However in the home setting, gardeners have different definitions of what is invasive. For me, it’s any plant that volunteers extensively and is difficult to eradicate. There are a lot volunteers that are brought to my yard as gifts from the wind and birds. I endlessly have to pull out mulberries, figs, privet and Mexican fan tree; not to mention various weeds and non-native grasses. There’s nothing I hate more than nutgrass. How can you eradicate the invaders? In most cases, the best time to strike is when the volunteer is young. And if you can’t make that happen, do not let the invader go to seed! Do not risk putting anything with viable roots or seeds into your compost or shredder. This is definitely material for the green can – get it out of your yard.